Home Auto News How to Remove Wheel Clamps! This section is hosted by our resident Master Clamp Cracker ‘Alfred’. Alf is an expert on removing clamps and has appeared on numerous radio and television shows as well as been featured in the press demonstrating how, with a little knowledge, clamps can be removed… easily! Even better, if you have photo’s of the deed we’ll put them up – just make sure your registration plate isn’t in the photo! The overwhelming majority of clampers are motivated by either a ‘jobsworth, letter of the law, mentality, or more worryingly MONEY!!! Unbelieveibly, they employ private organisations in a multi million pound scam. Motorists are extorted under a barrage of underhand tricks designed to dish out fines to meet performance targets. It’s a discrace – how can a fair system be implimented when traffic officers ‘have to’ fine a given number of people to generate the income to run the scheme? There’s big bucks to be made in clamping and this section is hosted to help the oppressed driver who finds them self in the awful position of being held hostage and being prevented from going about their daily business until a sickening fine is handed over. Most countries and states have laws that prevent thugs ‘demanding money with menace’ or causing ‘undue distress’, clampers appear to be exempt from prosecution for High Street robbery. I am now fairly adept at removing clamps and now average just a few minutes for the most impregnable. I started learning how to get clamps off after I parked in a spot I’d been using for years. I returned to find that a private clamper had covered my windows in permanent stickers and attached a carbuncle of an immobiliser. Now, I have been teaching people how to get clamps off for several years, and published my methods widely. Well, to answer the cynics – my methods work!!! I have personally removed 5 clamps, had 8 tickets ripped up and made a clamper remove an immobiliser!!! Autoinfozone receive letters everyday explaining new and innovative techniques in getting them off which we also publish. The first one I removed was a baptism of fire, it was an absolute beast. This is similar to the clamp I removed except the lock was an integral part of the main plate and the chain was held by a locking pin and not a padlock. I was parked in a place where no warning signs existed. 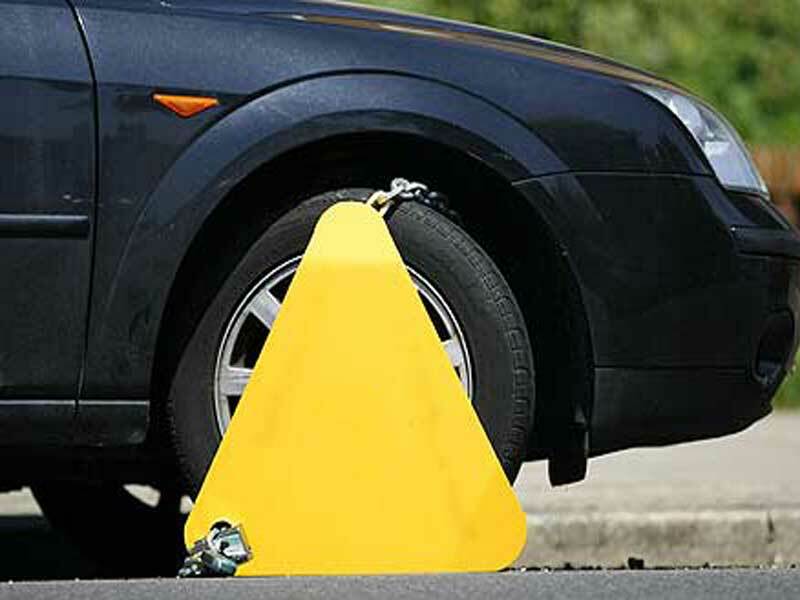 I decided there and then, to try to get it off as the fine was US$90 (£60) and I knew that trying to plead with the clampers was a waste of time. I walked across town and bought a hacksaw for @ $15 (£10). The problem with clamps is that they are usually made from hardened steel. This particular clamp consisted of a plate and a chain which wrapped around the axle. AND I’LL TELL YOU ALL ABOUT IT IN THE AUTOINFOZONE MEMBERS’ AREA. Join today and learn how to remove virtually all types of clamps in general use… GUARANTEED!!! Yes that’s an absolute, cast iron guarantee. I have been tested by the best. I even had a camera crew appear on my doorstep recently from one of the best know tv motoring shows trying to catch me out. They brought a selection of clamps and I think the most resilient was off in less than a minute. See exactly what happened in the members’ area. I have successfully removed two of these types. They are made up of 3 bars which hook over the tyre held in place by a front plate designed to restrict access to the wheel nuts. You will need a ?????? and a ????? Strike hard in a downward direction until ????? Features: As used by Police Forces and Parking Enforcement Agencies. 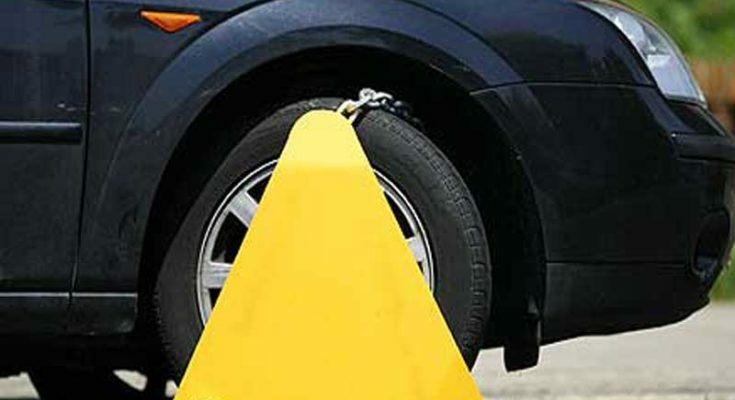 * Heavy duty clamp – ideal for theft prevention and parking enforcement. OK same technique of ????? and ????? It is worth noting that not all clamps are made from hardened steel and the ????? can sometimes be cut through. I’ll show that you can fight back… getting the clamp off will give you back your freedom… for free! DON’T LIE DOWN AND TAKE THE INTIMIDATION AND EXTORTION – DRIVERS ARE NOT A SOFT TARGET! 1. Lie down and take it. 2. Fight them on their terms. Previous PostLexified Land Cruiser: 2016 Lexus GX460 Test Next PostHow to Get the Best Deal For Your Car With Prestige Car Dealer?